Recently, Microsoft has blown up the minds with the reveal of new Surface hardware at the Surface hardware event in New York. Along with this, Microsoft announced about the release of a second major update of Windows 10, which will include many improvements and features. The new feature that Microsoft has discussed in the announcement is known as Your Phone, an app-mirroring feature. Using this feature, Android users can operate any app on their device through updated windows desktop. The feature does not require any wired connection; it can work over Wi-Fi. According to Microsoft, the app-mirroring feature would be compatible with Android devices running on at least OS 7.0. App-mirroring would allow users to access some basic features such as texting and view images of Android over the desktop. But for iPhone users, it would be able to share links from mobile to desktop to continue browsing over the desktop. Microsoft assures about the development of the app for Android users to access more apps, along with the addition of some of the features for iPhone users. The desktop work can also be managed through the android device. 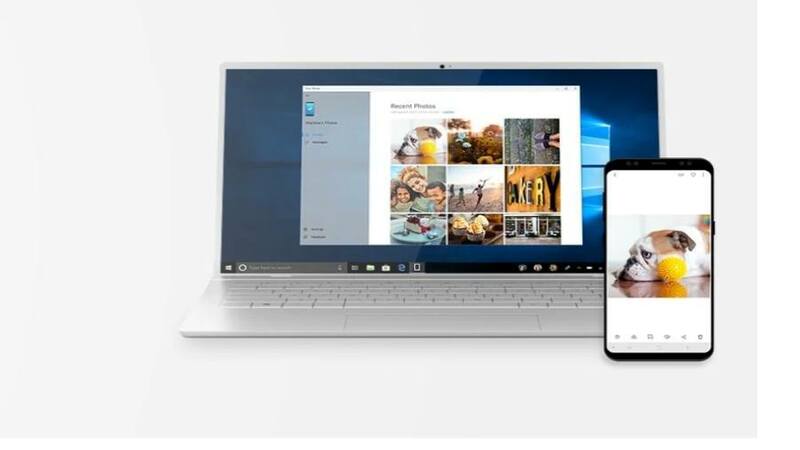 Using Microsoft Launcher app, Microsoft timeline (Windows 10 feature) can be accessed through android to search for a specific file or webpage that have already been accessed over the desktop. This feature is yet to come for iPhone. iPhone users will be able to connect through Mac for text conversations from any of the devices. Photos and file sharing can be done easily between all Apple devices through Airdrop feature. Microsoft has taken a great initiative to develop a strong bridge between the phones and desktops. Microsoft does not have its own OS platform for phones. So to be relevant in the market, it is trying to bond tightly with Android and iPhones.